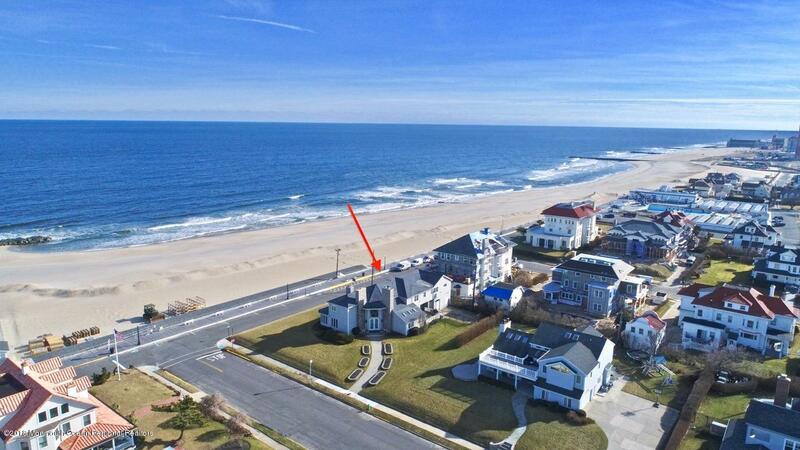 Allenhurst oceanfront spectacular home. 5 Bedrooms, 5 1/2 Baths, 3 Fireplaces, Balcony, Covered porch with pavers stretching along the entire front of the home. Beautiful views of the atlantic ocean. Large kitchen with huge granite island, Gaggenau two wall ovens, Viking, Subzero fridge and subzero freezer, Bosch dishwasher, Light wood heritage kitchen cabinets, Full finished basement, Outside enclosed shower, Toilet, And sink ( Wonderful )Home 5292 sq. Ft., Finished basement 1026 sq. Ft. Carport 770 sq. Ft.; Each bedroom has a walk-In closet, Security, Sprinklers, Paver patio, Fenced area in yard. Generac whole house generator! The list goes on and on, But the view is breathtaking! Unique opportunity! I would like more information about 2 Cedar Avenue in Allenhurst.